For over a decade, Leon has had his feet planted in the global techno and house scene, building a career through musical ability and an instinct for the dancefloor. These are some of the reasons why he has been a Music On resident in Ibiza, Miami and New York for four years, and why he has been invited by labels such as Saved, Viva Music, Cécille, Cocoon and Rebirth Records, to name a few, to form part of their catalogue. 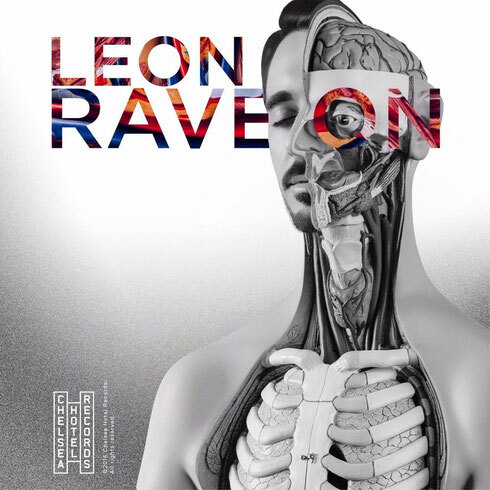 It is in this context that Leon delivers ‘Rave On’, his second album. Apparently motivated by the desire to keep it real and authentic, he has created an album of 11 original cuts, dedicating an entire year to its manufacture. Produced mostly in analogue, it’s a record full of atmospheric and suggestive techno. Leon chose to debut it on his own label, Chelsea Hotel Recordings, a vinyl-only imprint launched in 2014 with the idea of staying true to his vision for music production. The album is out 29 February and will be available as a FREE download, so look out for it.